Build Africa’s Women 4 Women Initiative is a celebration of our work to improve education and opportunities for women and girls in rural Africa. We invite women who already support our work, and those who are simply passionate about equality, to come together and join our movement. The Women 4 Women initiative is a call to the growing movement for gender equality to help empower women and girls in vulnerable rural African communities. 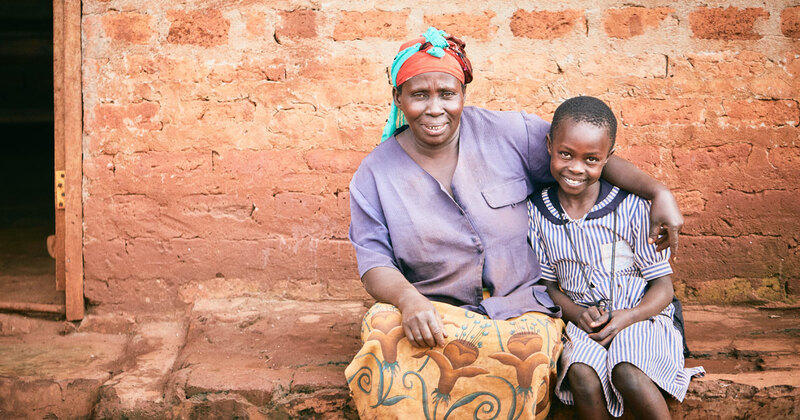 We connect influential UK women with our powerful gender projects in Kenya and Uganda, and, most importantly, the people they help. For this to succeed, education must be for everyone. However, the fact is millions of girls across rural Africa are still not getting the education and opportunities they are entitled to. The link between being denied an education and future inequality is clear. Without an education vulnerable girls can become victims of abuse, early pregnancy and child marriage. They are prevented from making key decisions about their future, and, should they have children of their own, they will struggle to provide for their young family. Tragically, it becomes a vicious cycle as a woman without an education is less likely to send her own daughters to school. But the cycle can be broken. Research shows that investing in women and girls – in terms of their education, their economic empowerment and their place in society – is not only the right choice but the smart choice. Build Africa want to see lasting change in the communities we work with. We understand the best way to achieve this is by challenging damaging cultural values and practices that see women excluded from education, business and society, and promoting positive attitudes and role models for young women in their own communities. In some of Kenya and Uganda’s most remote rural communities, Build Africa are working hard to create genuine and lasting change for women and girls. Helping both girls and boys to understand their rights and relationships within the community. Creating safeguarding frameworks and supporting girls to report cases of neglect and abuse when they occur. Training teachers in accessible and inclusive methods that address the unique problems faced by girls in their community. Tackling taboos around menstrual health and sharing skills such as making reusable sanitary towels – preventing girls having to miss up to a week of school every month, meaning they don’t fall behind and are therefore less likely to drop out. Improving sanitation with well-built latrines and clean water supplies so that young women and girls can have privacy and dignity while at school, as well as better hygiene. Helping women gain financial independence through our VSLA Scheme (Village Savings and Loans Association) that gives access to community-based credit to invest in their livelihoods and families. Supporting young mothers, who have already been denied an education, to learn vital literacy, numeracy and life skills that will help them provide for their family and support their children’s education. Working with communities to challenge negative cultural attitudes towards women and girls, including tackling the acceptance of violence against women. If you're passionate about change, we'd love to work together. Please get in touch with ideas about how your skills, experience and connections could help us tackle the challenges faced by women and girls in sub-Saharan Africa. Sign-up below to pledge your support and join our network, as well as receive updates and information about future events. Communicate with the wider world about equality in education and our vital work. Collaborate with contacts, family and friends for pro bono support or to raise funds. Commit to create an impact. Take on a fundraising challenge, attend a Build Africa event or volunteer your time. For more information, please complete the enquiry form below or call +44(0)1892 519 619 to speak to a member of our team. We'll only use the information you provide to deal with your request.